"Comprehensive, personalised gastroenterology and endoscopy care." 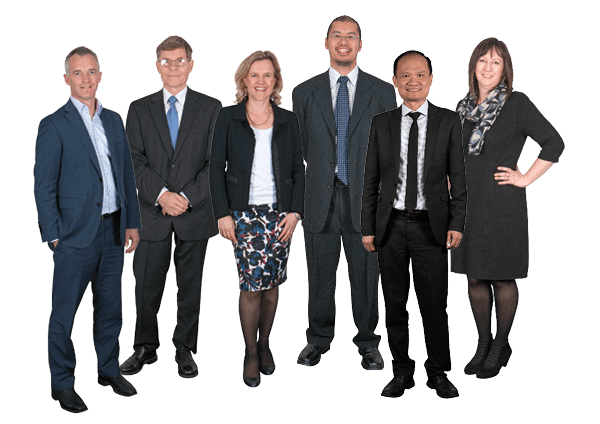 Teresa, Bruce, Richard, Gary and Catherine are an energetic and dynamic team of specialist gastroenterologists who have all had international experience in prestigious centres of excellence. We believe in providing patient centred, state of the art care to facilitate rapid diagnosis and treatment of your symptoms. We are committed to performing high quality colonoscopy and endoscopy provided at your convenience, with your comfort and safety as our highest priority. We all hold Consultant appointments at Christchurch Hospital and are actively involved in medical research particularly into inflammatory bowel disease and liver disease, as well as clinical trials of new therapies. We regularly present cutting edge research at national and international conferences. We offer a comprehensive service encompassing the diagnosis and treatment of all aspects of gastrointestinal health. We are all Southern Cross Affiliated Providers.